Do you Dream of going to Brazil, but don’t have the faintest idea when is the best time to go? Don’t know where to begin planning? Where to stay ? How to get around? Globotur Travel Services is a team of extraordinary travel advisors and tour operators who are passionate about sharing the magic of Brazil through knowledge and exemplary customer service. Our expert knowledge, experience, and passion for our customers allow us to create a personalized adventure of a lifetime for all travelers. Whether you're taking a romantic getaway, a fun-filled family adventure, or have always dreamed of experiencing the excitement and the natural beauty of Brazil, our exceptional agents and dedicated tour operators are here to provide you with the perfect vacation. We will ensure that no aspect of your vacation is left to chance, and your precious travel dollar and time are spent as wisely as possible. A dedicated travel agent that will listen to your requests and will suggest the best options within your budget. 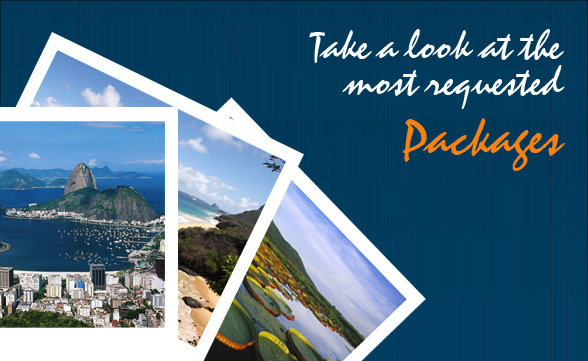 Send us your request and an agent will work to find you the best option for your travel.